Founded by local residents in the late 1970’s, the mission of MMTACA is to preserve the quality of life in the area by serving as the collective voice of all residents. MMTACA keeps lines of communication open and fosters an equal partnership with area businesses and local government agencies in resolving issues of mutual concern. Through our regular newsletters and website, MMTACA keeps residents and local businesses informed about issues. We coordinate and publicize fun-filled family activities and neighborhood events. We maintain a community calendar, organize Block Watch programs and conduct many other activities which make the neighborhood a great place to live. Among the activities that the Maize Morse Tri-Area Civic Association coordinates are a neighborhood yard sale, National Night Out safety events, beautification awards, and a Neighborhood Christmas party. 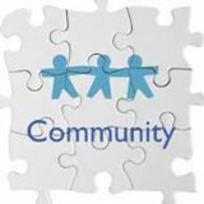 The mission of the Maize Morse Tri-Area Civic Association is to maintain a high quality of life in the community through partnerships with residents, businesses, and local governmental agencies for the purpose of resolving issues of mutual concerns.